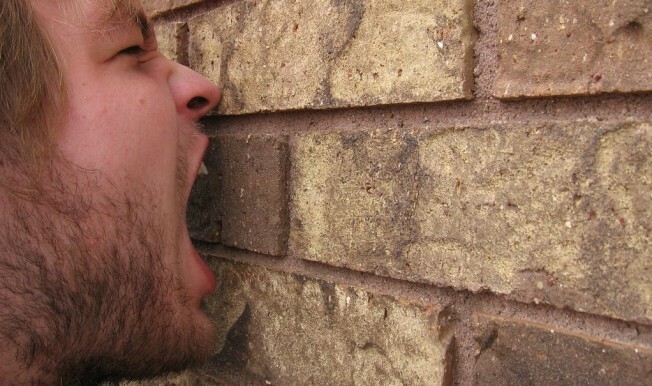 Yelling at a wall may be better than sending an angry email. Google is doing its part to help out frustrated daters and drama magnets everywhere. The Mountain View, Calif., company has introduced a useful new feature to its popular email client. Our friends at SFist tipped us off to a new "undo send" feature that is now available on Gmail. The company blogged that the new feature allows you to unsend, sort of, an email you didn't really mean to send after all. So imagine your friend, not you of course, just caught his girl (or boy) cheating on him (or her) and writes that super long, angry, profanity laced tirade on his (or her) Gmail account and presses send. Well let's just say your friend, not you of course because you are too level headed to overreact, realizes three seconds after hitting send that that was really your girl's (or your boy's) cousin. Well then you are in luck, sort of. The folks at sfist were quick to point out that the undo send button is more like a panic button. It allows you to retrieve emails within five seconds after they have been sent. So Gmail actually holds onto a message for five seconds, if you activate the free service in your settings, before sending. So in reality you only have five seconds to come back to your senses. After that, you won't be able to retrieve that "Dear John" letter from your signifigant other's box. Ho hum. It's better than nothing.